Kind of my philosophy on life. Stick around, it’s going to get messy. So you’ve been wearing your raw denim for the last 6 to 12 months and they’re starting to smell kind of rank. Rank to the point where fabreeze won’t even cut it and people are starting to notice. 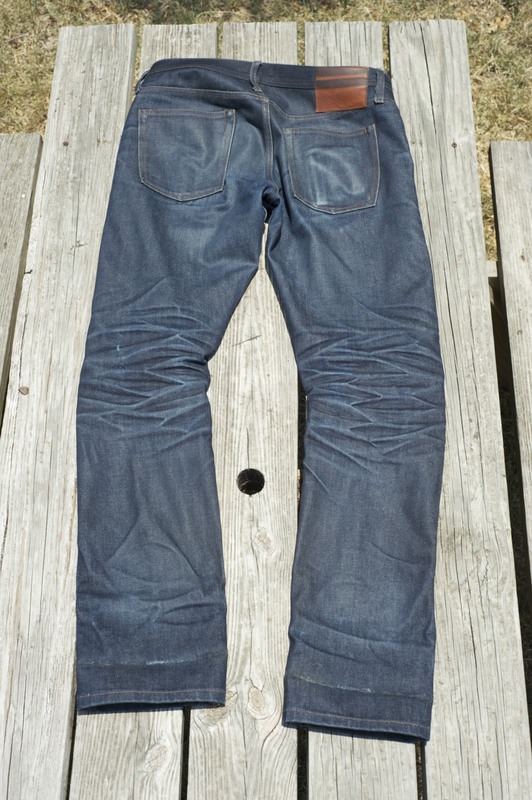 Washing your raw denim for the first time can be a stressful time. Will I lose all the color? Will they shrink a size? What will happen to the sheen? The first wash is actually kind of exciting, it’s were you get to really see the fruits of your labor. All the creases and wear patterns really pop after the first wash. Yes you will lose some dye, yes the dye will set, yes the jeans will not fade as fast. But at some point you’ve just got to wash them and move on. 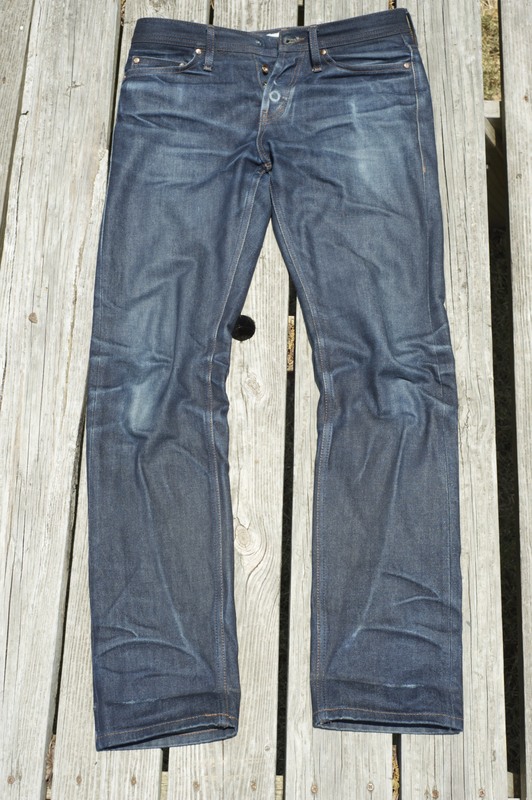 Another benefit of washing is that it actually increases the lifespan of your jeans. Seriously, the dirt that gets worked into your jeans through daily use actually functions like an abrasive, wearing down the fibers in the denim and weakening them. Go long enough without a wash and you’re asking for pocket holes and a blown out crotch. I’ve heard of some pretty strange washing method on the interwebs, including wearing your jeans into the ocean, buying special japanese laundry detergent, and soaking them in a tub with shampoo. Given that some people pay upwards of $500 on a pair of raw denim jeans, I guess I can understand where all the insanity comes from. The below method does not require a beach or japanese soaps, just a laundry machine and a store bought laundry detergent. While in the bay area this weekend I stopped at the Electronics Flea Market. This swap meet occurs on the second Saturday of the month during the summer, and is held at De Anza College in Cupertino. The majority of the stuff being sold falls into one of three categories: ham radio equipment from the 40’s, miscellaneous circuit components, and electronics from the 80’s. In addition, most of the cliental are either in their 40’s or in their 70’s. I guess the lure of 30 year old test equipment and tube transistors has a specific audience. At any rate, there were some pretty cool stuff hidden among all the junk. I had a homework problem in my machine elements course that used this exact gear box.